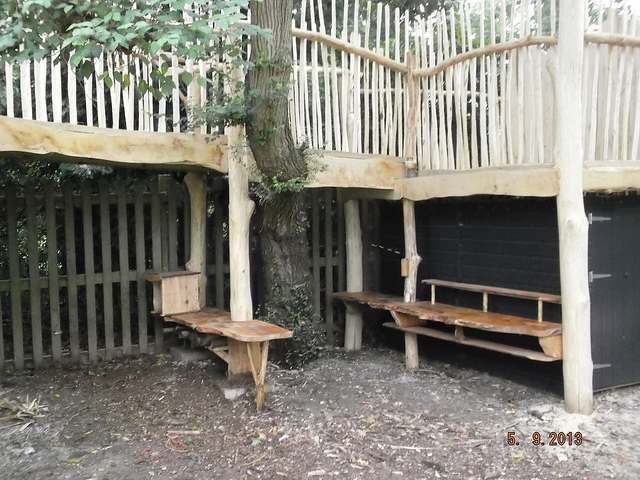 This bespoke mud kitchen allows children to learn through play in a fun and engaging way. You can’t help but want to get stuck in…this is messy play at its best! The worktop and shelves are made from single huge planks of oak slotting around the uprights of the treehouse above. The little sweet chestnut box houses a refillable water supply.